Reiko Renee Tate presents a collection of recent works at PULP on Saturday, October 12th. The collection features brightly colored paintings, greeting cards and gifts. A portion of sales will benefit Dreaming Out Loud, Inc., a 501(c)(3) nonprofit whose mission is to design and implement innovative human development programs and high-impact social enterprises that empower the potential in under-served communities. The organization is a force of inspiration, character development and leadership capacity-building for youth while engaging youth and low-skill young adults in education and workforce investment programs that build transferable 21st century skills. Working to eliminate food deserts and make fresh produce more accessible, Aya Community Markets is one of Dreaming Out Loud's most popular social enterprise projects. Aya Farmer's Market takes place every Saturday through November 4th at 900 4th Street SW near the Waterfront Metro. Contact Reiko at reiko@reikorenee.com or 202.649.0781 for more information. 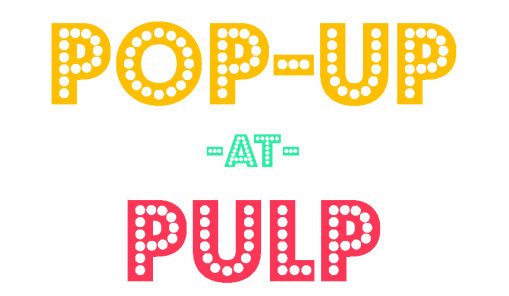 PULP is located at 1803 14th Street NW a few blocks from the U Street/African-Amer Civil War Memorial/Cardozo stop on the Yellow and Green lines. Metered street parking is available. Born in Nashville, Tennessee, Reiko Renee Tate began exploring art at a young age focusing primarily on painting and pottery. A graduate of Spelman College, Reiko studied painting, art history and Economics in college. Her post-college art studies include commercial art, pottery and paper arts. Her professional background includes fine art, stationery design, marketing and event design. After graduating college, Reiko put her artistic aspirations on the back burner and worked in management consulting and marketing in San Francisco, Atlanta and Washington, DC. In 2001 she started ReikoRenee Creations, creating hand-crafted jewelry and original artwork and selling her creations at arts festivals throughout the southeast. In 2010, she launched Studio ReikoRenee, LLC, an art and design studio. In addition to fine art, Studio ReikoRenee ventures include Fun+Art+Wine, an art and wine focused events company and MerciBunches, a stationery design studio. Her work can be found in private residences and corporations throughout the United States. Her artwork can be purchased online or by scheduling a studio visit by contacting her at reiko@reikorenee.com or 202.649.0781. Typically bright and colorful, my artwork reflects my innermost thoughts, feelings and inspirations. Themes of nature, love and harmony appear throughout my work. Unlike personal interactions that can be managed based on social constructs and desired outcomes, my artwork remains my most unfiltered personal expression. My intent is to create art that promotes feelings of happiness and joy. I primarily work with canvas, acrylic paints, paper and non-traditional materials like LED lights. I love creating art that makes the viewer want to reach out and touch the work. For more information, contact Reiko at reiko@reikorenee.com or 202.649.0781. Want to receive updates? Sign up for the mailing list.